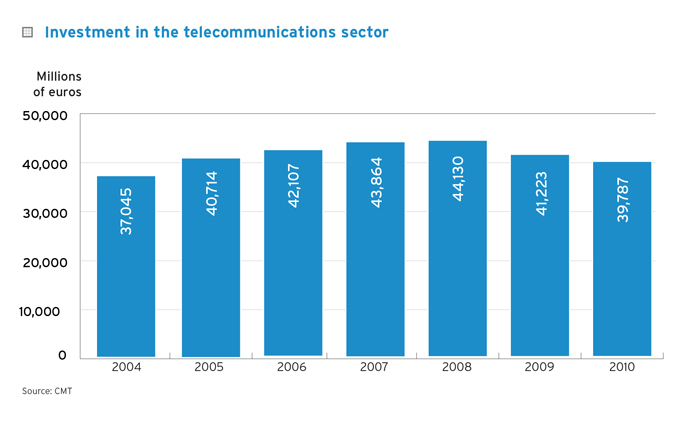 In 2010, revenues from operations in the telecommunications and audiovisual sector amounted to €39,787 million, 3.5% less than in 2009. 83.93% of the revenues (€33,396 million) was associated to final services and 16.07% related to wholesale services. The operator with the highest revenues was Telefónica Spain with €10,772 million, representing 27.1% of the total revenues in the sector. It was followed by Movistar and Vodafone with 21.5% and 15.3% of the total, respectively. Revenues from retail services recorded an increase of 3.4% in the last year. Telephone information services were the ones that recorded the greatest decrease, 19.4% with 40 million of calls, followed by audiovisual services with a drop of 2.14%. Out of the total revenues from final services 42% corresponded to mobile telephony, 18% to fixed telephony and 13% to audiovisual services. 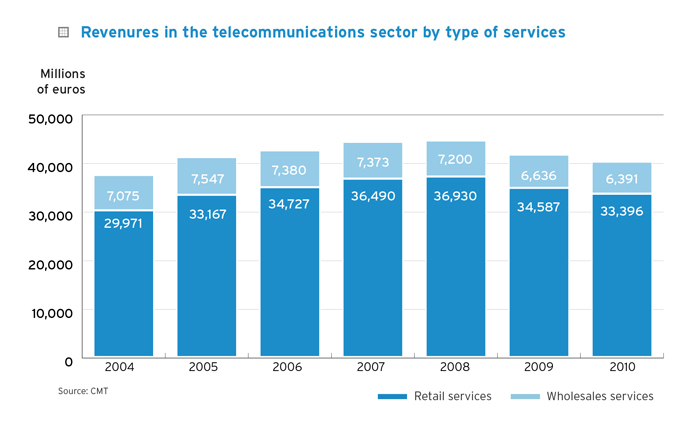 Revenues from wholesale services recorded a drop of 3.7% compared to 2009. Audiovisual signal transportation and broadcasting services recorded an increase of 10% compared to the previous year, up to €395 million. 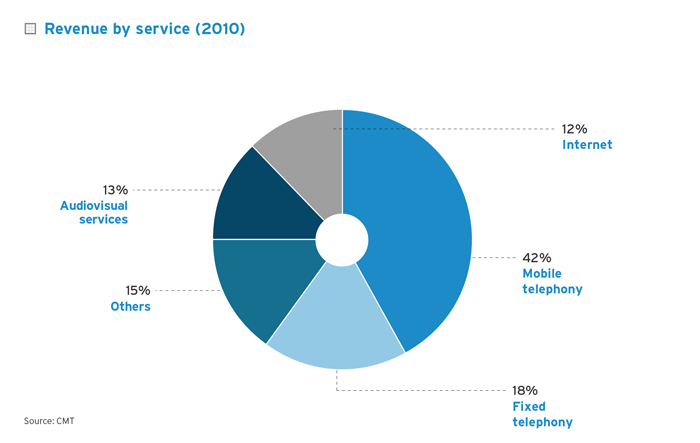 Evolution of revenue from market operations in the telecommunications, audio-visual and Internet sector broken down by operator type: fixed telephony operators, mobile telephony operators, cable operators and audiovisual services operators.